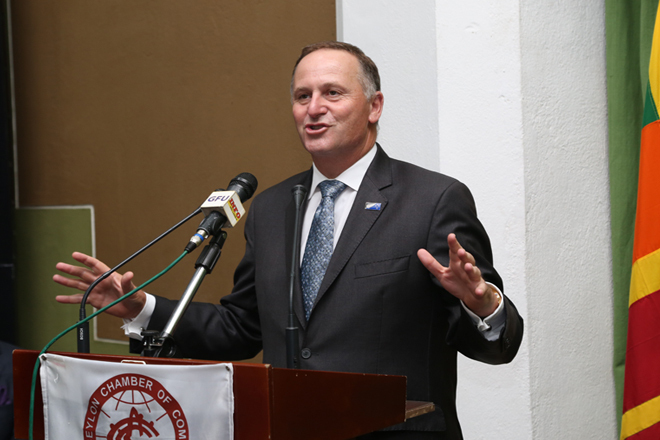 New Zealand Prime Minister John Key has urged New Zealand and Sri Lankan businesses to take advantage of the growing commercial opportunities between the two countries. “Our commercial ties have expanded well beyond the traditional dairy links to opportunities in sectors such as food and beverage, aviation, education, specialised manufacturing and the creative industries,” Mr Key says. The Prime Minister was speaking to senior Sri Lankan and New Zealand business leaders in Colombo at an event hosted by the Ceylon Chamber of Commerce and the Sri Lanka-Australia-New Zealand Business Council. 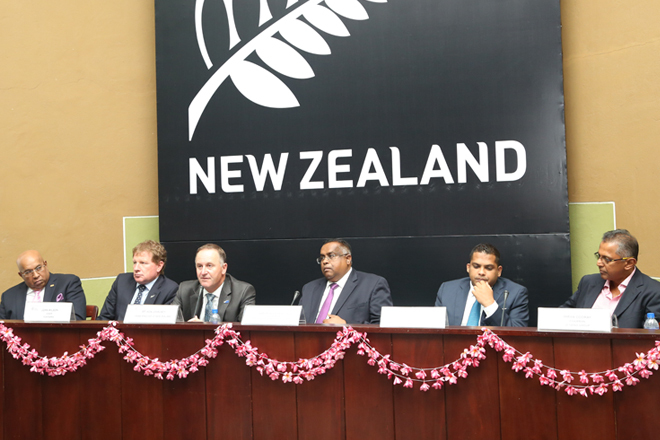 Bilateral trade between New Zealand and Sri Lanka stood at NZ$324 million in 2015. Mr Key said he was pleased to have led a business delegation to Sri Lanka, which had showcased the potential for further commercial ties. He later witnessed the signing of four commercial deals that he said demonstrated how the two countries could help each other achieve their economic goals. At the event he also highlighted the expertise New Zealand companies had to contribute to the Sri Lankan Government’s ambitions to improve water supply and sanitation, ports and aviation, transport, housing, hospitals and logistics. “As small island countries, New Zealand and Sri Lanka share the challenge of ensuring our companies are competitive in global markets,” Mr Key says. Mr Key also discussed the importance of good public policy to help promote growth.